gorgeous...love the polka and bloom tag! 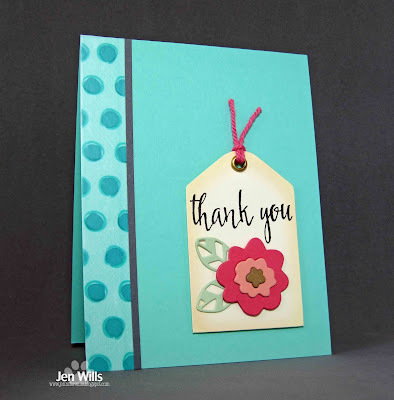 Super sweet colour combo Jen, must check out the scotch decorative tape! Beautiful card, such gorgeous, rich colors! Happy Birthday, Jen!!! 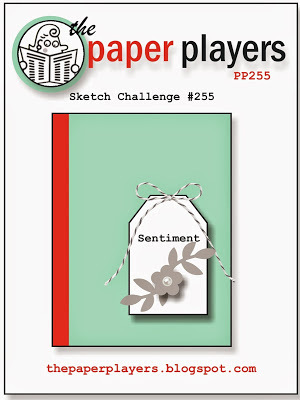 It's great to see you playing with our sketch this week, especially with this lovely CAS creation! Bold and bright, I love it! Thanks so much for playing with us this week at the Players! The colors you chose are so pretty! I love that blue. 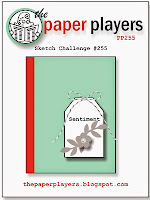 Thanks for joining us this week at The Paper Players! Gorgeous card and fantastic choice of colors.